The F33 is a multi-purpose face brush from our Dimensions Series. Handmade from extra soft, high quality anti-bacterial, easy to clean synthetic fibres, this brush is also vegan friendly. The F33 is a multi-purpose face brush specially designed to create super sharp contouring. Place product on with the flat edge and turn to the side for blending. 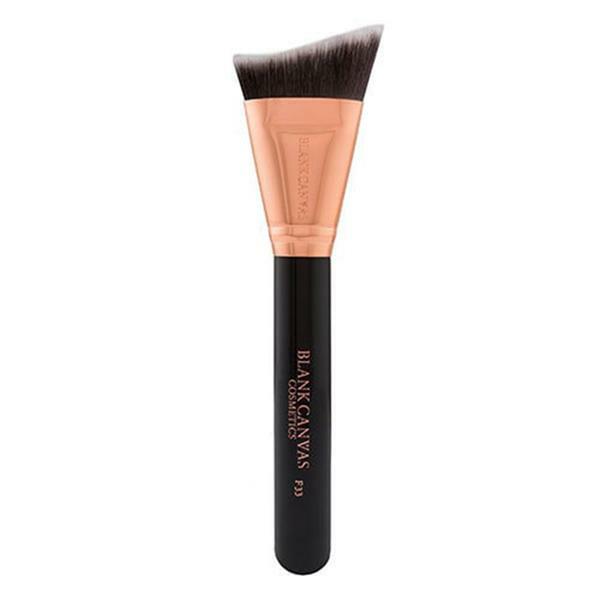 This brush is best used with cream or powder products.